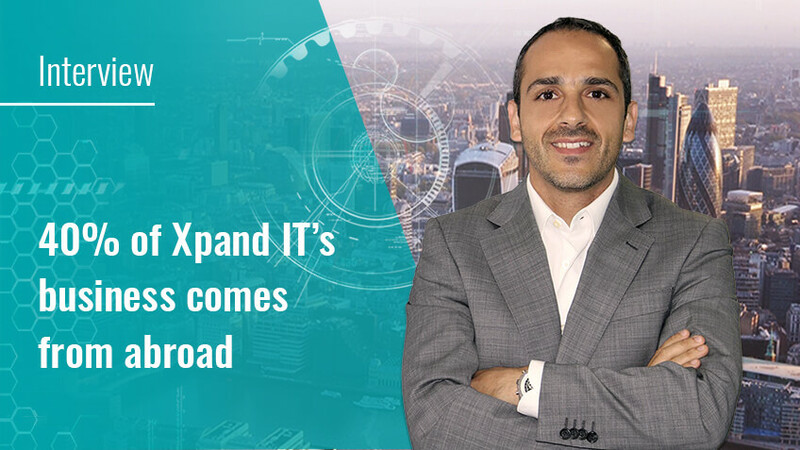 Xpand IT’s CEO, Paulo Lopes, believes the company will achieve a growth of 75% in the next three years, through a strategy built on nearshoring and product development. With a 7,5 million euros income in the last year, Xpand IT will achieve a 30% margin profit in 2017. These are the CEO’s expectations, genuinely optimistic when it comes to the business evolution on the international marketplaces. This progress is possible due to the partners’ global chain, such as Microsoft, Tableau or Atlassian, that has been offering support to all the initiatives and projects along the way. Paulo Lopes claims the company’s value lies on the specialisation in some key technologies, both on the product and service spheres. 1. What strategy is Xpand IT following this year? PL. We are currently developing a three-year strategic plan, from 2016 to 2018. This project is based on two main topics: internationalisation and product development. The first one is related to the progression registered on the entire service nearshore, which has operated since 2010 at our Viana do Castelo office. This operation focus’ is in Europe, and the most important leap we took was opening a subsidiary in London. We also invested in specialised services in some key technologies, through which we position ourselves as specialists. 2. With which technologies does your company work? PL. In the mobility unit, we work with Xamarin, a technology that allows app development through a single C# codebase. For Microsoft, it is not easy to partner with organisations with the same expertise existing in Xpand IT, which is often only found in large aggregator companies. What we are looking for in partnerships is both a technological and a commercial view, and, in this context, I think Portuguese can call the shots. In the Big Data unit, we work with Cloudera and Pentaho technologies, and right now we have several projects underway in the banking segment. We often resort to mix shoring, since we have resources allocated in Portugal and the UK. 3. Since you have referred to the British market, how many people are working in the London subsidiary? PL. That office function is to give local support. We have a total of 25 people working for the UK operation. 4. What portion of your business is made abroad? PL. Nearly 40%. And this rate includes our three biggest markets: EUA, United Kingdom and Germany. 5. What can you tell us about your product strategy? PL. We have been reinforcing the investment for the past two years. When we started developing our products, we had some bad experiences, but we used them to grow up and to learn from it. Our success began when we developed our two most popular products in the Atlassian marketplace, Xray and Xporter. Xray is a test management solution, with which we trace all the test processes from a team (and which integrates the JIRA platform). At the moment, we have around 2000 clients in 76 countries using these two products. We can assure that a significant part of the car industry tests their software with Xray, as, for example, Audi, Porsche or the Formula 1 Renault team. We have clients even in the aeronautic sector, such as Airbus and Lufthansa. PL. Xporter is a “commodity” product in the Atlassian marketplace. It works as an information extract tool for project management through JIRA. It uses reports and delivers some Word and Excel templates, which can be built by the user. PL. Yes, it is. It´s growing, and we intend to follow that line, migrating to cloud computing driven products, to install them in the same environment but delivered as a service. In the next year, we will gather to reflect on our goals for the next two or three years. 8. After making an income of 7.5 million euros, how much does Xpand IT predict to grow this year? PL. The first semester went well, with a growth margin of 45% in the homolog period. The goal was 20% for 2017, but I would say we can achieve the 30%. PL. The internationalisation process is a long-term project. We learnt from that process, and we have already mapped out the path to increase our services unit. We can replicate this model not only in London but Germany, for example, because it is an extremely interesting market for us, in which we have several clients already. 10. Do you have any intention of opening a physical office in London? PL. That is not one of our priorities right now. However, because we have a successful model implemented in Viana do Castelo – processes, tools and human resources – it is possible that we can open other subsidiaries using the same structure. 11. Is there any possibility of making a partnership with a local firm? PL. In the first stage that could happen. However, we feel that is not the model with which we can achieve the best potential. 12. Even if it was a Portuguese partner? PL. We have already done it, but it’s hard. Our culture and approach to the market are very different from the traditional services departments. We position ourselves as specialists in a particular technology and not like a generalist enterprise. So, we need to promote a lot a distinct technology in the market. 13. Which percentage of your international business, in comparison with national business, would be seen as a success? PL. We are not fundamentalists. That business will grow at a very different scale from the national business. That happens because we have a much wider margin to spread in Portugal and because we have a specific product unit that will increase significantly in the international trade. 14. Let’s talk about Xpand IT’s partners a bit. The Microsoft network is a great help for you, right? PL. Yes, we are much active in that ecosystem in particular and have already received prizes. However, we try to avoid portfolio competition in our operations. We work the mobility area mostly with Microsoft. But we still have been partnering with Azure, focused on a technology called API Management, with which we have success cases already. 15. Outsystems, for example, would it be an interesting partner? PL. Ousystems is one of our clients. Besides being a competitor in the mobility area, we have already promoted their technology because made sense at a particular time. As I said, we are not fundamentalists. 16. And to the Tableau technology, what´s your strategy? PL. In the Business Intelligence unit, we work with two technological mainstays: Pentaho and Tableau. Pentaho is an open source commercial technology, focused on data management, and connected to our most successful international business part, for example, in the USA. Tableau functions more in a self-service context, in which our users gain the power to explore data autonomously. This technology fastens and makes the processes agiler, and it’s precisely that way we intend to promote it. 17. And for the Atlassian technology, what are your future expectations? PL. That particular business area is growing a lot in Portugal. Besides add-ons, we offer services as well. We provide technology implementation services and inside digital transformation contexts. For example, when we need to make a change from the waterfall methodology for Agile, CMMI or ITIL. PL. Yes. Atlassian now delivers their offers into three platforms: cloud, server and in the client data centre. To us, it is a reference company. 19. But that offer was more focused in the DevOps area, right? PL. There are two main tendencies for us. We have a market offer, supported by Atlassian, that ends up to help a lot in the DevOps process and in between the team dynamic. We have another offer, supported by Red Hat, OpenShift, that works for the application implementation in containers and micro-services logic, agnostic when it comes to the infrastructure and with a PaaS structure. 20. Will you privilege cloud or server solutions? PL. That will be up to the client. 21. From the three manufacturing companies, which one represents a larger business volume for Xpand IT? PL. At the moment, Atlassian plays a significant role and Tableau does it as well. However, we have the business well distributed among every unit. In the international part of our business, our BI tools development area (with Tableau and Pentaho) plays a large part also.